After recording nearly 20 mostly great sides for the Minit Records in the early 1960’s, including the #1 hit, “Mother-In-Law”, written and produced by Allen Toussaint, Ernie K-Doe was picked up by the Duke label out of Houston around 1965. As with his later Minit output, he didn’t score significant sales or airplay with his 10 or so Duke singles, other than short chart appearances by “Later For Tomorrow” and “Until The Real Thing Comes Along” in 1967. Some of his Duke sides were supposedly arranged by Willie Mitchell. “Gotta Pack My Bag” is one of those lost Duke singles, an upbeat, funky piece of work with a James Brown influenced, insistent groove. K-Doe gets a chance to strut his stuff, scream a little, and have fun with the shout out the dance lyrics. As to who’s in the band, or if the track was recorded in Houston, New Orleans, or Memphis (which I doubt), I haven’t a clue. But, it doesn’t really matter when a groove is a groove. His association with Duke ended in 1970, after which he worked with Toussaint again on an unsuccessful album for Janus and pretty much dropped from the national music radar for rest of his days, save for the continued popularity of his one hit on oldies stations. In his hometown, however, he remained a dedicated character and performer, becoming in time the proprietor of the world famous Mother-In-Law Lounge (along with his wife and her mama) and self-professed and unopposed Emperor of the Universe. Although he passed on in 2001, through the aid of an uncanny stand-in mannequin, he continues to officiate at local events and parades, and receive visitors at the lounge. As “Ay-La-Ay” is the fourth Lee Dorsey vocal I’ve posted (well, one was his duet with Betty Harris), I think you can tell he is one of my all-time favorite New Orleans artists. Search this site for those other posts and read more. This track was recorded a couple of years after his 1961 hit, “Ya Ya”, but wasn’t released. In a familiar record biz pattern, after that big hit with a playful nonsense song, the Fury label, based in New York, tried to hit again with a succession of similar tunes, “Do-Re-Mi”, “Ixie Dixie Pixie Pie” (both penned by Earl King), and “Great Googa Mooga” to name a few, all recorded in New Orleans, with only “Do-Re-Mi” getting much action in 1962. With the hits not coming and Fury in decline, Marshall Sehorn, who had gotten Dorsey signed to Fury, put him back in the studio in 1963-64 for more sessions; and a few sides were released on several other labels to little avail. “Ay-La-Ay” comes from that time. The UK’s Charly label first released it as a single in England around 1980; and it appeared on their two CD Lee Dorsey compilation, Great Googa Mooga. Primarily a Mac Rebennack (later know as Dr. John) composition, this song, while keeping to the childish nonsense strategy, is a funny, engaging triviality. I’m guessing Mac produced this one, but have discovered no session details. There’s a loose but great horn section and a Huey Smith-style piano; and check that funked up drumming, very likely by John Boudreaux, who played on most of Dorsey’s Fury sides and worked with Rebennack later on the West Coast. Add Boudreaux to our list of fine Crescent City drum masters. 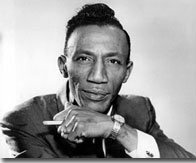 “Ay-La-Ay” was recorded in a period of transition for Lee Dorsey and a number of those involved with the tune. Following this brief period of setback, he started working at Sehorn’s direction with Allen Toussaint and had a long string of outstanding sides, many of which where national hits. Also, Sehorn and Toussaint became successful business partners around this time. Meanwhile, soon after this session, Rebennack landed in jail; but, he was out in 1965 and off to Los Angeles to seek his (mis)fortune, paying heavy dues before his Night Tripper persona was concocted and he began his long climb toward HOTG music sainthood. When he gets there, Lee will be in that number waiting for him. 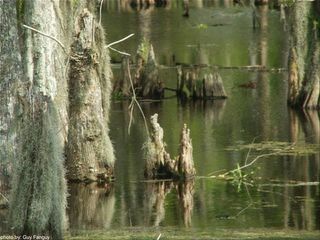 Once again, for those who might be newcomers or just have forgotten, my monthly Swamp Side posts generally feature artists and tunes that are related to Louisiana, but are from outside the New Orleans environs. Although “I’m Gonna Try” was recorded in New York City and originally released on the Port label based there, its gutsy singer, Carol Fran, came from right here in my current abode, Lafayette, Louisiana. There is something familiar about the horn line in this tune, reminiscent of a Toussaint chart maybe; but I can’t quite place it. Anyway, this song was the b-side of Fran’s cover of “Crying In The Chapel”, which got such a good response that Port/Jubilee owner Jerry Blaine moved it over to his Josie label for wider distribution. Unfortunately, another version soon appeared by some guy named Elvis that took all the steam out of Fran’s hit machine. She says that when she later ran into Mr. Presley in California and told him he had done her wrong, he blamed RCA, but wrote her a check for $10,000 on the spot! That’s probably way more than she would have gotten from the standard recording contract for that song, even if it had been a big hit. As has been pointed out elsewhere, there is a definite Dinah Washington influence in Carol Fran’s vocals; but, by 1965, she had her own impressive style with years of experience from Bourbon Street to the road. I don’t know much about the session for this side other than it was arranged by big band man Sammy Lowe. She did a handful more singles for Port that saw no action, then cut a bunch of sides for Roulette, recording them at Hi Studios in Memphis in 1967. Some of those and a couple from Port were comped on WESTSIDE’s CD, Bluesoul Belles: Betty Lavette and Carol Fran. Although those Roulette tracks were very good, most were never issued. She had a similar experience a decade earlier recording for Excello producer and talent scout Jay Miller in Louisiana. As is often the sad case, she never had much commercial good fortune with her releases, and no warm and fuzzy relationships with the record business, either. But she always has been a strong live performer. If I’ve got the story pieced together right, the Gladiators were a band David Batiste and several of his brothers formed while they were in high school in New Orleans back in the 1960’s; and they became part of the fertile hometown funk scene that was beginning to blossom near the end of the decade. “Funky Soul, Parts 1 & 2” was released around 1970 on the Soulin’ label and re-issued soon thereafter on Instant. Although the single wasn’t commercially successful, it is now considered collectable by a succeeding generation of beat hounds and “sorry I missed it the first time” cats like me. 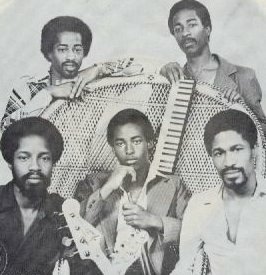 Over time, the Gladiators became the Batiste Brothers Band, which released several other singles, at least one LP, Freeze, and a CD or two. They are still performing. For many years, their drummer was David’s son, David Russell Batiste, Jr., who has gone on to play with such notable bands as George Porter, Jr.’s Runnin’ Pardners, Vida Blue, Papa Grows Funk, the Orkestra From Da Hood (his own band), and the Funky Meters (a truly redundant name), which he helped co-found with two former members of the original Meters, George Porter and Art Neville, plus guitarist Brian Stoltz. So, on “Funky Soul”, you hear an early New Orleans funk band whose fruit didn’t fall far from the family tree. *March 22nd: Right on time, Dwight (drummer for Chocolate Milk) has stopped by to shed some light on the drummer in question: "Dwight here, WOW! what a great old school track. That was true New Orleans music back in the day. The Gladiators were one of the the hottest bands around during the mid 60s. They rocked all the talent shows back then! This is when talent shows were premier events. I believe the drummer on that track was non other than a drummer I only knew as Ratty! Back then, ratty meant funky, and to have the name Ratty one had better be Dam funky. And he definetly was. I had the good fortune to be one of his friends or proteges more likely. The reason Russell Batiste is so good today is because he got to see and hear and watch Ratty on a daily basis. Ask him! It is good to see that today the Batiste Brothers are just as funky as ever. N.O. was just full of too many good drummers. The first trap drums I ever got to play on were owned by Smokey Johnson! I was friends with his nephew and we used to bang the hell out of those drums. I was about 13 yrs old. I feel fortunate to have known and been close to so many of these influential drummers." Yeah, you rite, Dwight! Thanks! Tamiya Lynn’s atmospheric “Ship Of Love” uses as its departure and end points lyrics similar to what Fats Domino and Chris Kenner worked with on their rather innocent Shoora Rah songs (“front to front”, “side to side”, “back to back”, “go kiss your lover”, all with “Shoo Rah” repeated between them); but her song’s yearning vocal over primal percussion takes us into an exotic, sensual interpretation of those phrases that builds as she adds her own lyrics and steers us away from childhood into the realm of romantic love. Again, it would be interesting to know if she was re-inventing r&b songs that she undoubtedly heard in the 1960’s, or drawing on an earlier source from childhood. The chant-like nature of this tune tempts me to keep seeking something from the playgrounds of mid-20th century New Orleans to explain the mystery of Shoo Rah. Although I don’t know how she got hooked up with them, there are some great musicians from the British jazz-fusion group, Fire Merchants, on her eponymous album, Tamiya Lynn . Jack Lancaster arranged the music, co-produced with Tamiya, and plays sax, keyboards and percussion on the CD. You won’t hear them on this song; but the remaining rhythm section is John Goodsall (guitar), Doug Lunn (bass), and Chester Thompson (drums). Among other notable sidemen and soloists is percussionist Paulinho Da Costa, who probably did contribute to this track. But even though the playing on the CD is top notch, and Lynn’s vocals are generally fine, the album never did much for me as a whole. The songwriting just doesn’t move me much, sorry to say. With its smooth jazz-inflected soul and funk with hints of Brazil, it should have worked better than it does. As it is long out of print, maybe you can find a copy used and judge for yourself. So, this wraps up my Shoo Rah adventure. Hope you were at least entertained, if not fascinated with the subject. I left off one song by Mac Rebennack that appears on some of the demo recordings producer Huey Meaux released on him over the years. Mac (aka Dr. John) says that a lot of that stuff was just tracks of him and a piano that Meaux later overdubbed with a pick-up band and released after Dr. John got famous. Anyway, his Shoo Rah song has lyrics similar to what Domino and Kenner did, but is slow and bluesy. Tamiya Lynn (aka Tami Lynn) worked with Dr. John singing backup over the years; so there is another possible connection to her version. But the enigma of the origin remains. I posted Ms Lynn's excellent cover of "Mojo Hanna" back on December 12, 2004; and my comments there tell you a bit more about her, if you're interested. For years I was under the impression that Toussaint's live version of "Shoorah Shoorah" came from a 1976 concert that was part of that year's Jazzfest. You would think that, since it appeared on an LP (and later CD) entitled The New Orleans Jazz And Heritage Festival 1976, produced by Marshall Sehorn and Allen Toussaint, plus the fact that the notes state that the five Toussaint tracks on it were "recorded on the riverboat 'President', 4/9/76". But, I am always learning here at HOTG. An astute reader and listener, Jeff Mason, has pointed out to me that the live tracks on that album were actually recorded a year prior in Philadelphia. That entire earlier concert was released as part of the 2003 Rhino/Handmade two CD set, Allen Toussaint: The Complete Warner Recordings. A simple A/B comparison of the tracks set me straight and revealed that the producers deceived the public when they misrepresented the source of those live tracks on the earlier album. Back on January 14, 2005, I posted another cut from this live date. For more information about the recording and Toussaint, please refer to my comments there and related memories of the era (posted January 15, 2005) by Dwight Richards, drummer for Chocolate Milk, who Toussaint produced and also used as a backing band in the studio and live during the later 1970s, though they did not appear with him in Philly. 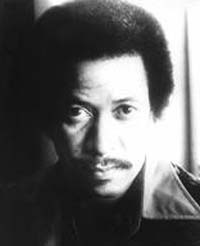 Allen Toussaint puts his own creative spin on “Shoorah Shoorah” (shown as “Shoo-rah Shoo-rah” on the 1973 copyright filing); and we're lucky to have hs own take on it, since he never released a studio version of this tune, which was covered by the Righteous Brothers, Sam & Dave, Betty Wright, and Frankie Miller (produced by Toussaint) in the 1970’s, and later by British ska singer Patricia Black. Except for the double Shoorah in the chorus, these lyrics bear no resemblance to the earlier songs by Domino and Kenner, and certainly don’t make much straightforward sense either, seeming simultaneously playful and ominous. Shoorah or somebody is out to get the singer; and he doesn’t want to be caught. While that doesn’t help at all in the search for the meaning or identity of Shoo Rah, this is such a hot, energetic song that it doesn’t really matter. Toussaint’s deft arrangement and the band’s tight support make this live version definitive. In the final Shoo-Rah installment, we'll hear a female vocalist who grew up in New Orleans do a rendition lyrically similar to the Domino/Kenner versions; but she strips the song down to its essentials to produce something that surely isn’t kid stuff. Stay tuned. What or who is Shoo Rah (aka Shu Ra or Shoo-rah)? I have yet to find out. It appears in at least five songs by New Orleans artists, four of which we’ll hear in this and the next few posts. 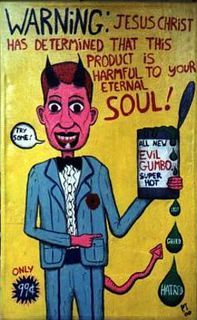 The Crescent City has always been a fertile source of novelty tunes, nonsense lyrics, and secret languages (the Mardi Gras Indian songs and chants, for example). I don’t think Shoo Rah has MG Indian origins; and it may just be euphonious nonsense used to spice up a few songs. Or is something else going on? If you couldn’t care less about that, these tunes, of course, can be enjoyed at face value without delving into their more mysterious charms. We begin with the earliest example I’ve found, "Shu Rah", written by the Fat Man and Dave Bartholomew. They turn the song out as kind of a rockin’ square dance. It’s a simple tune with repetitive lyrics and definite reminders of a child’s game song. And perhaps that’s where Shoo Rah started. Years ago, my ex-wife, a music educator, heard me playing some of these songs and commented that they sounded like some children’s playground chants that she had studied. 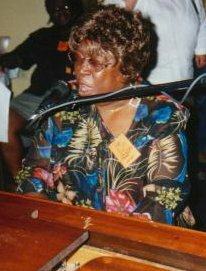 She never could pin the song lyrics down to a specific chant; but she guessed that it could have been one peculiar to New Orleans kids at one time and filtered into the city’s popular music that way. Since it appeals mainly to the young, pop music has often co-opted the words and/or melodies of children’s songs, nursery rhymes and the like, so her idea makes sense to me. Or, as this song suggests, was Shu Ra a local dance fad that never caught on anywhere else. Maybe a HOTG native can confirm or shoot down this theory some day. Fats Domino should need no introduction. He is still a cultural icon, even though his heyday as a rock 'n' roll progenitor with enormous record sales (in excess of 40 million by 1958) ended fairly soon after this record was released. With his thick Creole accent, it is surprising that he connected so well with a mass audience; but thatwarm, friendly voice, combined with great songs, a simple, but powerful piano style, and backup by Dave Bartholomew’s cast of top notch session players, gave him an immediately identifiable, attention-grabbing sound that people still love to hear. Recorded at Cosimo Matassa’s studio in New Orleans in 1960, the song features Lee Allen on the sax solo. Cornelius “Tenoo” Coleman’s on drums, and guitarist Roy Montrell. Recorded six years later, our second “Shoo Rah” comes from Chris Kenner and is one of his final sides for the Instant label, probably produced by Sax Kari. I thank Larry Grogan of the Funky 16 Corners webzine and associated blog for that factoid. He’s got a nice piece on another Chris Kenner Instant side on the latest installment of his ‘zine. Talking about it with him jogged my memory about this song and all the others. Kenner’s lyrics here have some similarity to Domino’s version, but with a bit more mature subject matter - more a mating call than a dance call; but there is still a sing-songish quality to it. With its tom-tom heavy, modified Bo Diddly beat, the music is funkier, too. Maybe Chris just made some changes to that older Fats song in order to claim it as his own; or they both may have been mining the same childhood source. Anyway, the prolific songwriter used his wife’s maiden name for the writing credit, probably to get around sharing potential royalties with Domino, to whom he was contractually obligated. God love him, Chris Kenner wrote and sang some great songs in his day: “Sick and Tired” (covered by Fats), “I Like It Like That”, “Something You Got”, and “Land Of A Thousand Dances”, to name just his most widely known. But he really wasn’t much of singer, often sounding like he’d had a few too many, probably because he had. Much of the time, he seems to have lived on or near the streets, squandering any royalties he got and surely getting screwed out of many more; but he was a truly gifted wino who somehow contributed significantly to the music of his hometown in spite of his demons. In my next installment, we’ll hear Allen Toussaint’s radical transformation of Shoo Rah into something totally uplifting and wholly his own, but no less danceable and mysterious. So check back. . . . I remember reading back in the 1990’s that Zig Modeliste was playing with a band out in California called The Nervis Brothers and that they had a CD out. Liking nothing more than a mission, I set out to find said CD, but didn’t have any luck for a long time. The Louisiana Music Factory hadn’t even heard of it; and they get a lot of obscure New Orleans-related stuff, believe me. Then one hot day in the City That Care Forgot when the “humiture” was like 210 (aka normal), I was at the Magic Bus’ old location, an un-air-conditioned sweatbox of a store on Conti in the Quarter, busting the bins, when I found it. I had almost passed over it, because the spine showed Eddie Baytos & The Nervis Brothers. 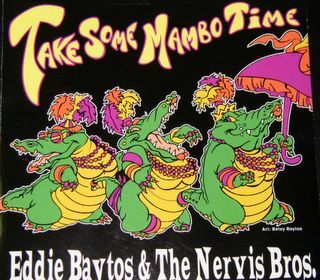 Just looking at the listed players assured me that Take Some Mambo Time was the CD I was looking for, with appearances by Zig and fellow former Meter Leo Nocentelli, New Orleans bass great David Lee Watson on every cut, as well as a host of LA,CA session players, including keyboardist, instigator Eddie Baytos. I don’t know if he is originally from Louisiana or not; but this multi-talented-tasker (singer, musician, composer, choreographer, actor) definitely has connections with some HOTG bred talent. His original songs (9 of the 10 on this disc) reveal the influences of blues, r&b, rock, and funk with a touch of Creole zydeco and Cajun at times. It is the funk we address in this post as displayed on “Do Sumpin’”, an instrumental workout that gives famed drummer Modeliste plenty of excuse to demonstrate his unique approach to beat division. * On the guitars are Nocentelli (wah-wah) and Nick Kane (prior to his run with The Mavericks). Mr. Baytos plays both piano and organ on the track; and the horn section has seasoned West Coast session men: Lee Thornburg (Tower of Power) on trumpet, Jimmy Roberts on sax, and Nick Lane on trombone. It seems The Nervis Brothers are sort of a revolving band of players that Baytos puts together mostly for occasional gigs out West. From the copyright dates, Take Some Mambo Time probably was recorded between 1991 and 1994; but it wasn’t widely distributed. Around 1999, it was re-issued under the title, I Ain’t Drunk. Anyway, the music on this CD is spirited and enjoyable; and the between song excerpts from some bizarro radio DJs are funk humor at its finest. With playing just greasy enough to be loose and right, the whole affair has the feel of friends playing for fun at a local bar with the chops to make it a party to remember for their audience, too. By the way, maybe the drummers who check in to HOTG can tell me what time signature(s) we’ve got on this tune. And the answer is. . . kudos to Roy Markowitz and Dwight Richards for giving me the count, after I ran out of fingers and toes. I'll quote Roy's email on this one, "To the rescue: The tune is in 4/4 time (albeit slow). After the first 4 0r 8 they move into, ready? One bar of 7/8 alternating with one bar of 8/8 (or 4/4). Count the eighth notes and you will see grasshopper. NICE!!" Check out Roy's blog, Hellhounds and Hoy Ghosts. Dwight is right on time, too, in the comments. Man, it is so great to have top flight drummers contributing to this blog. Thanks, big time. 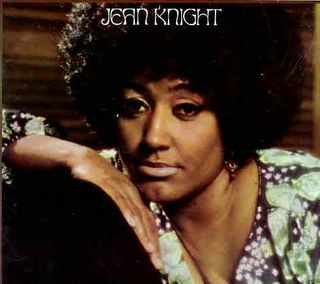 Probably recorded in Nashville, “Jessie Joe (You Got To Go)” was a one-off single that New Orleans chanteuse Jean Knight did for Buddy Killen’s Dial label in 1974. While not the only Music City label to focus on r&b, soul and funk music (the Excello group certainly did its part), Dial bucked the relentless country trends there for over a decade starting in the mid-1960’s, with its biggest act being Joe Tex. Besides Knight, Dial released sides by several other Crescent City based artists over the years: Bobby Marchan, Clarence “Frogman” Henry, and King Floyd. I think this is one of Jean Knights’ best performances on record; and she’s had some good ones. When signed to Stax in the early 1970’s, she recorded her hits, “Mr. Big Stuff” and “You Think You’re Hot Stuff”, at Malaco in Jackson, MS, along with more than an album’s worth of other fine, funk-infused sides. 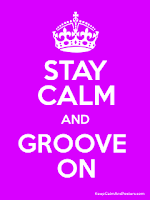 Home of the Groove master Wardell Quezergue worked his magic on those as producer and arranger. Knight didn’t get much airplay or notice again until her 1980's pile-on version of “My Toot Toot” moved some units. She is still an active performer. You can find “Jessie Joe” on at least two comps: Kent Soul’s outstanding double disk set, The Dial Records Southern Soul Story; and Charly’s Blax-Plosion, a very good, out of print, two CD funk collection. The Kent also includes the flip side, “Dirt”, another fine tune written by Paul Kelly and soulfully rendered by Ms Knight. Nothin' but the devil. . .
Back in December, I posted a funky little number by Willie Harper called “Look At The Clock”, which was written by Harper and guitarist Teddy Royal, produced/arranged by Wardell 'Big Q' Quezergue in the early 1970s, but never released. Just the other day, I found this other way funky tack, “Why You Wanna Do It”, a devilish tale of woman trouble, featuring Harper on vocal and written by the same team, on an old Charly compilation LP called Sehorn’s Soul Farm. The vinyl is in storage; and my notes on my CD burn say only that this cut was unreleased. But from its sound, I’m going to venture that Quezergue produced it, too, around the same time as “Look At The Clock” with probably at least some of the same musicians [note: Teddy Royal had since backed this up]. I also have a hunch that the recording venue was Sea-Saint in New Orleans, which would put the date at no earlier than late 1973. As you listen to “Why You Wanna Do It”, note that the drums and bass are up in the mix, highlighting the irresistible groove going down. Again on speculation (that’s why I get paid the big bucks! ), I’m going to say the drummer was Smokey Johnson, another HOTG legend, a funk drummer before the designation existed, who taught and inspired the likes of Idris Muhammad and Zigaboo Modeliste. 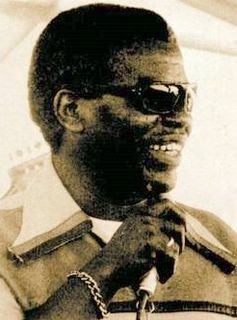 Quezergue had understandably used Johnson often on sessions in the 1960s; and it is verified that Smokey was the main session drummer at Sea-Saint early on, before Herman Ernest took over. That still leaves the spunky bassist unaccounted for. George Porter, Jr, did a lot of session work there at the time, but David Barard of Chocolate Milk might be a possibility, too, or Tony Broussard, as both were around then. Since Royal co-wrote this tune and worked regularly on projects with Big Q and Toussaint, he's a good bet for the guitarist [since confirmed by Teddy]. Sam Henry, another regular on sessions for Wardell and Senator Jones, may well have played clavinet here. Finally,the horns bear the stamp of Querzergue’s arranging skills, and most probably were the house section. Why these tracks were left behind is hard to fathom. 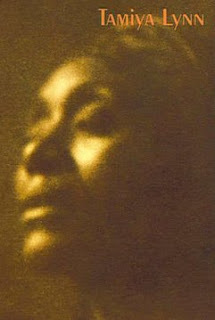 Harper had recorded with Toussaint for years during the previous decade, starting with a vocal group, and then as a solo artist on Alon, Sansu and Tou-Sea. Toussaint used him often for background singing, as well. But the singer had never grabbed the public's attention; and, by the 1970s, the Toussaint was no longer interested in singles, getting into the more lucrative mainstream album market as a producer for hire. He thus left the smaller sessions on local artists to his staff, Quezergue and Issac Bolden. To me, Smokey Johnson (if indeed it is him) and his able cohort on bass jacked this track. It should have been released for the power their groove alone. This is my choice cut from an LP/CD I’d put in the “seemed like a good idea at the time” category, Triumvirate. 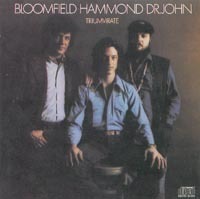 Back then, certain powers at Columbia concocted the concept of bringing blues channeler John Hammond, Jr. (vocals, guitar), hot lead guitarist Mike Bloomfield, and gris-gris piano professor Dr. John (aka Mac Rebennack) together for a record, seemingly just to see what would happen. The original 1973 album notes relate that the sessions in San Francisco were difficult and chaotic; but, in the end, Dr. John brought in his own New Orleans drummer, Fred Staehle, added bass player Chris Etheridge (Flying Burrito Bros, Ry Cooder), and did the arrangements himself, helping pull the music together and get the album completed. I’m not all that sure what producer Thomas Jefferson Kaye brought to the party. Maybe the weed. “Sho Bout To Drive Me Wild” is flat out the best of the several funky tunes Dr. John chose for the sessions and can stand on its own merits. Written in the late 1960’s by Rebennack and his fellow New Orleans expatriates in Los Angeles, Alvin Robinson, Jessie Hill, and King Floyd, the song was first recorded by Robinson* in 1969 for the Pulsar label; but it was more rocking and straight ahead than what Dr. John cooked up for Triumvirate. Staehle, another great HOTG skins man, makes with the breaks and gives good groove here while Ethreridge bounces along and the horns jump, stab, and sway. As the album’s designated lead singer, Hammond delivers a swampy vocal. Or is it just the mix? As you might guess, I prefer the four NOLA-related songs that the good Dr. obviously brought to the proceedings: our feature, plus King Floyd’s “Baby Let Me Kiss You”, “Cha-Dooky-Do” (done by Art Neville back in the 1950’s), and “I Yi Yi”, a kind of barrelhouse takeoff on a Hawks tune from way back; but they aren’t enough to make this album rise above a mediocre collaboration. The rest of the album’s material is bluezoid cover stuff with only Willie Dixon’s “Pretty Thing” having much life to it. “Sho Bout” is the one song that makes the whole project worth talking about. Hope you dig it. *Alvin Robinson’s version can be found on the Ace (UK) CD comp, Still Spicy Gumbo Stew. PSSST. One Track Minds has a cut up by Morning 40 Federation, a contemporary New Orleans band of degenerates (and I say that with respect) that has to be heard to be believed. It also helps if you've had more than a few mood enhancers, I'd imagine. So, go click off over there for a while and get an earful, then come right back, of course. Great concept for a blog, by the way.